This holiday season, I encourage all of you to buy socially and environmentally responsible gifts with Equal Exchange's gifts that give twice. Equal Exchange is a Fair Trade organization that has worked with small farmer communities all over the world for more than 25 years - bringing you dozens of delicious, organic, Fair Trade options for your annual gift giving. Equal Exchange offers a variety of quality gifts perfect for foodies, chocolate-lovers and coffee aficionados. The Organic Milk Chocolate Minis (41%) are rich and creamy. The fold-out box is perfect for serving them, or storing them for yourself! The first of their kind, the loveable candy bars are made with organic and Fair Trade ingredients from small farmers. 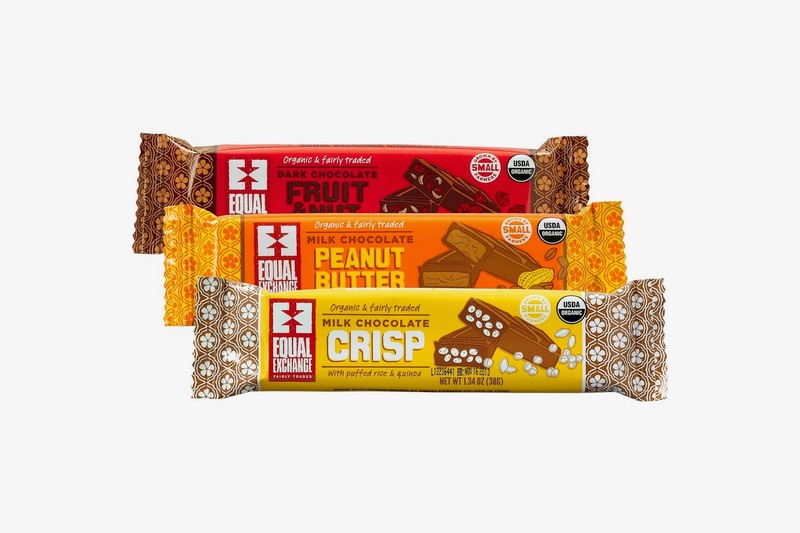 Buy It: You can purchase all these tasty organic treats from the Equal Exchange online store. Win It: Equal Exchange is generously offering (1) 4-pack of the Holiday Mini boxes (2 milk, 2 chocolate) ($28 value!) to a lucky winner!